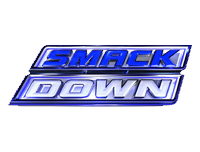 The 8th April 2011 episode of Friday Night SmackDown! starts with Alberto Del Rio making his way to the ring with Ricardo Rodriguez and Brodus Clay. He talks about how destiny can be delayed and can be stopped, and that at WrestleMania his destiny was delayed by Edge and Christian. He talks about how they destroyed his WrestleMania moment and his car, which he says is like his child, but though they think they broke him, he’s going to make them pay and fulfil his destiny to become the World Heavyweight Champion, and everything Edge did to his car is what he’ll do to him. Edge decides to make his presence known now as Edge enters the arena on the back of a truck with Del Rio’s smashed-up car. Edge talks about how if the car is like his child, Del Rio needs to love it unconditionally, but then also decides to give it a “touch up” by using some spray paint on it too. Del Rio says that he had Edge “this close” from tapping out at WrestleMania, but Edge rebuffs him as he says that he didn’t get the job done, and that is why he’s standing there as the World Heavyweight Champion. Del Rio tells Edge that he’s going to give him a rematch, but Edge says that you can’t change destiny and Del Rio lost, so he should buy a new car and drive to the back of the line as there are many more worthy of a title shot ahead of him, such as – after he interrupts Edge by sounding the horn and exiting the truck – Christian. He says that Christian has beat Del Rio twice, but if it’s a fight he wants, then he’s got his destiny. Edge and Christian start making their way towards the ring but Teddy Long’s music hits and he makes his way out onto the stage. Long says that if they’re going to settle this, they are going to do it in a match, as Del Rio will take on Christian later on to determine the number one contender to face Edge in a Ladder match at Extreme Rules. Next up, Kane, The Big Show, Santino Marella and Kofi Kingston are pitted against The Corre (who are sporting another new version of their theme) in a Two Out Of Three Falls match which sees Kofi Kingston win the first fall for his team with a crossbody from the top rope. Wade Barrett the second fall with The Wasteland on Santino Marella, and the third fall goes to Kane for his team after The Corre are disqualified, so his team wins the match. Afterwards, Kane and The Big Show grab Ezekiel Jackson for a double chokeslam but turns into a triple chokeslam when Marella adds the Cobra into it. After a video hyping Sin Cara, Trent Baretta goes against Cody Rhodes in a match which sees Rhodes hit the Cross-Rhodes on Baretta for the 3-count. Afterwards, Rhodes starts to attack Baretta until Rey Mysterio’s music hits and he runs to the ring to make the save, Rhodes is able to bail out of the ring before Mysterio can do much more than get a quick shot in and attempt to take his mask. After a video recapping the events of Raw involving The Rock and John Cena (click here for our Raw report), we go backstage to Edge and Christian who talk about Christian’s upcoming match against Del Rio and what it could mean for them to face each other. Back in the arena, after a video recapping the match between LayCool and Dolph Ziggler and John Morrison, Trish Stratus, and Nicole “Snooki” Polizzi at WrestleMania (click here for our WrestleMania report), LayCool go against Kelly Kelly and Beth Phoenix in a match which sees Kelly take advantage of the troubles between the members of LayCool when she rolls up Layla for the 3-count. Afterwards, Michelle tells Layla that she’s always doing the work for her. After a WWE Rewind video recapping Michael Cole throwing barbecue sauce at Jim Ross on Raw and subsequently being chased out of the arena, Cole is in the ring where he jokes that he shot J.R. He then introduces Jack Swagger and together they talk about how Swagger was told it was impossible to make Cole ready for WrestleMania but in reality it was easy. Cole says that there is nobody in the locker room that can beat Swagger and suggests that they celebrate the victory with a victory lap – the lap comes to a halt when Sin Cara’s music hits and he makes his way out onto the stage, before running down and jumping into the ring in much the same way he did on Raw against Sheamus, taking Swagger out with a diving corkscrew to send another message. Michelle tells Layla that they are not a couple, but Layla insists that they need the help anyway and asks that she turns up, before then leaving, to which Michelle comments to herself that she always turns up. After a video recapping the 2011 WWE Hall Of Fame Ceremony, it’s time for the number one contender match with Alberto Del Rio (accompanied by Brodus Clay) taking on Christian, with Edge joining commentary. The match ends with Del Rio getting the 3-count after hitting Christian with a enzuigiri when Christian is perched on the top rope, as he was given enough time to recover thanks to the distraction of Clay approaching Christian until he gets hit with a spear by Edge. Del Rio celebrates on the ramp, with Edge watching on from the ring, as SmackDown! goes off the air.